It’s safe to say that everyone wants to make their organization better in 2019. The two factors that will do the most to ensure this happens are leadership and organizational culture. Strong leadership plus strong culture equals strong performance. And really, there’s little point in addressing one without addressing the other, because the two are so closely intertwined. Leadership sets the tone and the pace, and leadership that fails to do so can’t complain when things don’t get better. Closing leadership gaps and striving to improve corporate culture in 2019 should be top priorities for organizations intent on making this year their best ever. Leadership gaps are like gaps in a fence or hedge. Sure, most of the fence is still doing its job, but that gap can cause problems. Livestock could get out, or predators could get in, and they all have a way of finding those gaps and exploiting them. Likewise, people exploit leadership gaps, often to push their own agenda. The ability to fill leadership gaps depends heavily on leadership development. Potential leaders should be identified long before they’re expected to fill a leadership role, and in the intervening time, leadership training programs can go a long way toward ensuring they develop the skills they will need. Sometimes leadership gaps are unexpected, and not having to scramble to fill a leadership position is like having the tools and materials ready to properly fix a gap in a fence: it’s done right the first time, so you can move forward with confidence. A Deloitte study found that 94% of executives and 88% of employees consider corporate culture to be important to business success. And it’s no mystery why the companies listed on “Best Place to Work” rankings are generally highly successful. A strong, positive corporate culture makes recruiting employees (and leaders) easier, increases employee loyalty and engagement, promotes better collaboration and better performance, and keeps morale high. When people look forward to coming to work, they’re likely to give their best efforts to keep it that way. Improving organizational culture isn’t a one-time project, but something that must be tended to regularly, like a garden. 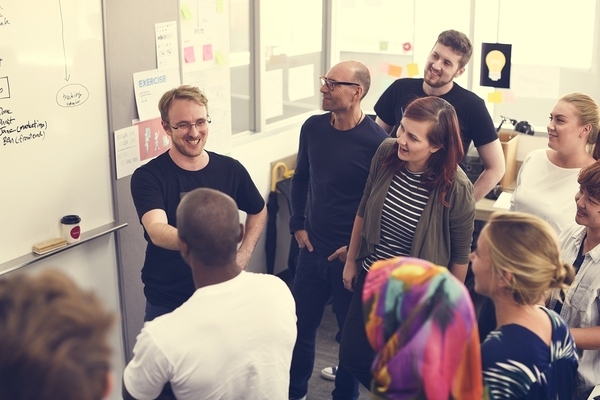 Problems with culture don’t necessarily indicate that it’s time to scrap the current culture and start over, yet leaders should not hesitate to ask employees what they like and don’t like and how they think it could change. Likewise, frontline employees should not be afraid to speak up about elements of corporate culture they believe are harmful. Excellent leadership is necessary for creating and maintaining a strong corporate culture, and strong corporate culture helps ensure strong leadership. Leadership coaching can be a key to empowering leaders to take an honest look at company culture and their role in it. The skills that leaders develop through leadership coaching – including communication skills, delegation skills, organizational skills, and decision-making skills – are precisely the ones needed to learn all about company culture as it is and to map out a plan to bring it to a higher level. For better or worse, leadership and culture feed off each other. Bad leadership tends to reinforce bad cultural elements in a negative spiral, while good leadership tends to reinforce good cultural elements. For maximum company success measured across a range of indicators, you need both ingredients, just as you need both heat and seasoning to get the maximum flavor from a healthy, delicious meal. With a brand new year stretching ahead of us, don’t just pay lip service to the concepts of culture and leadership. Learn your strong and weak points with each and make an actionable plan to improve both. You’ll not only make the workplace better for everyone, but you’ll also improve performance and are likelier to wrap up this year with a healthier bottom line. If you want to dive deeper into the topics of leadership and corporate culture, I encourage you to check out my books, which cover these topics in greater detail.